Today’s Hero Of The Day is brought to you by News Channel 52! “Keep it locked on 52!” Now, without any further introduction.. News Channel 52 (shameless plug) proudly presents our inter-dimensional superstar reporter….. AMBUSH BUG! Powers/Abilities: Interviewing, consciousness of fourth wall. 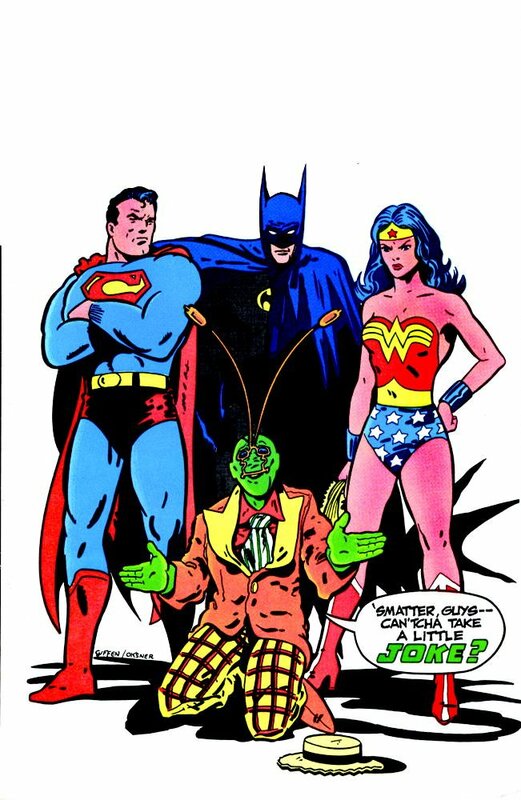 Channel 52 News reporter Ambush Bug is your anthropod-on-the-scene when there are heroes (and villains) to be interviewed about their latest exploits. He was there for Trinity War; he was there for Darkseid’s invasion; he has been there for nearly every crisis and every convergence, getting a microphone in the faces of the people who matter most, whether they’re on Earth-1 or Earth-31, the 21st Century or the year 3000. For updates on recent shake-ups in the Teen Titans, or the real story on Superwoman’s baby, or insights into the ongoing dramas up on Mount Olympus, Ambush Bug’s your insectoid. He has the stories the Daily Planet won’t touch, and is right on the spot when Galaxy Broadcasting hides out in the studio. 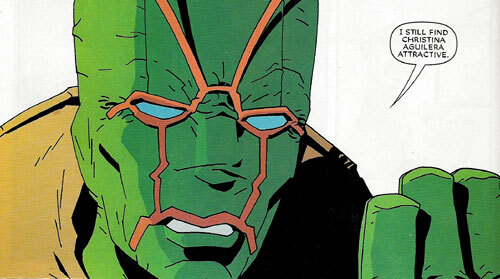 If you want the latest on the big events affecting your world and beyond, tune in to Channel 52 and trust Ambush Bug to bring you the news you can use! Ambush Bug always seems to know when there’s a story brewing, and he’s not afraid to rake a little muck or ruffle a few feathers to get at the truth. -Enjoy the heroes of the day? Love great and interesting comic book news with no ckickbait? Be sure to subscribe to Earth 7269, follow their Twitter, and be sure to like, comment and share that epic Facebook page! This message has been brought to you by Channel 52, and t He one and only AMBUSH BUG!